Over the last 6 years I’ve used all the skills I have (and I have many) gotten help from others and have still been unable to reconnect in what I call a meaningful relationship with my daughter. The results of my efforts often feel painful and disappointing, yet I persist; she is and always will be my daughter. Recently I gave several readings with a mother/daughter theme so I paid attention. I wondered what I insight I could learn from other people’s readings that would provide some peace for my own relationship. Mother/daughter relationships are challenging for many reasons, no matter how close mother and daughter were during the child’s minor years, there just seems to be a natural “parting of the ways” in adulthood. Never having had my mother in adulthood (my mother died when I was 15) I do not have the benefit of this perspective. It may very well have happened the same way for my mother and I. I imagine that daughters want to grow up and be on their own and don’t want to rely on or confide in mom at some point. Ugh, that’s a dagger in the heart! But I guess they just don’t need mom like they used to, unless they have children (that’s a whole other topic). Here’s what else I learned. It doesn’t matter what I do, it’s wrong. Again, I think it’s just a function of a daughter wanting to be her own person. Daughters, no matter how wonderful they are, forget that mothers are human too and have real lives and feelings; feelings that are often more powerful than can be explained or understood unless the daughters too are mothers. Also, the mother/daughter challenge seems to transcend age. I’ve given readings to women in their 60s whose mothers are living and it’s just as much of a challenge for them as for women decades younger. Then there are the boundaries, or lack thereof. Listen, I grew up without a mother role model and when I was young my parents thought I could make adult decisions. Oddly enough I could however it did not replace the lack of education in boundary formation and enforcement. I had a very basic understanding of boundaries and did the best I knew how when setting them with my daughter. In turn, I wasn’t very good at teaching her about boundaries. So when my daughter one day said to me that I needed to work on my boundaries, she was right, although I had a different opinion of what that work was. When you let someone step on your boundaries or don’t have a clear understanding of what or how to set them, you act it out on others. 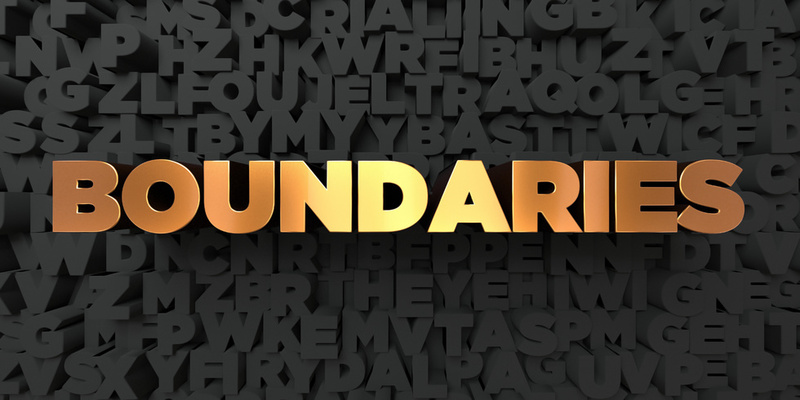 It can be a daunting task to learn how to lovingly set and enforce boundaries. It has taken me a lifetime, which is why I’m so passionate about teaching other women the right way and the right language to communicate expectations and boundaries. I sure hope that one day soon my daughter will see me as the brilliant, supportive and compassionate woman and mother I am and we can work on growing those boundaries together. Until then, I’ll keep working on my book – all about boundaries. I first heard this saying from my mother when I was growing up. I didn’t realize how important it was until I was much older. Ah, with age comes wisdom…thankfully. Are you holding a grudge? The truth is we all make mistakes and holding a grudge is not only silly and useless, it can be harmful. I’m sure you’ve heard astounding stories about a murder victim’s parents forgiving the murderer and you might wonder ‘how do they do that’? How do you forgive someone for taking what’s most precious from you? These astounding forgiveness stories have a common theme. All the forgivers say they felt stuck in never-ending pain and loss. That they couldn’t move out of the pain of the past until they came to some level of forgiveness in the present. Simply put, forgiveness is healing and moves your life forward. Holding a grudge simply masks the hurt of the perceived “wrongdoing.” Sadly, it only really has impact on you since the perceived wrongdoer seldom realizes you even have these feelings (nor can they do anything about them). What’s more, living in denial or holding on to your self-righteous anger, resentment, pride, and judgment likely keeps you from the very thing you want most – happy, loving and lasting professional and personal relationships. Do I sound unsympathetic? On the contrary I have compassion for you and your perception of the “offense.” I understand. I also know that love, acceptance and forgiveness feel better than judgment, pride and resentment. Love, or at least acceptance (non-judgment) is your natural state of being and feeling anger, resentment, fear and other harsh feelings can be brutally debilitating, all because of a story of perceived wrong you have going on in your head. How do you forgive what seems like an unforgivable act? You have to be willing to look at your own part in the play, which is often the hardest part. Sometimes it means admitting, “I was wrong” without choking on those words. Other times you may feel you have nothing to forgive. That’s fine, but sometimes just taking the perspective of “this person was just doing the best they knew how” (acceptance) is enough to move out of the resentment or judgment of the past. Here’s what I know for a fact. After watching my partner die a horrible death from cancer I know that every moment counts and every moment needs to be the best it can be. I know that these perceived “wrongs” or misunderstandings are never as bad, intentional, or unforgivable as it may feel in the moment or even upon reflection and that its just a story you have running around your head. You CAN pick a new and healthier story to live in your head. You CAN choose to stop blaming others and take responsibility for your direction. The Hawaiians have a beautiful forgiveness process called Ho’oponopono. Ho’oponopono means to make things “right” inside because they know the value of working together and working from love rather than anger and resentment. If you’ve been hanging on to these old stories, resentments and anger then I invite you to choose a better way by downloading my FREE Ho’oponopono meditation. I believe it is so important that I made the meditation available to everyone on my website. Just click any of the links and download your way to the kind of successful relationships you truly want. My Health Scare and what YOU need to Know! I consider myself to be in very good health. I work out three times a week, have lost extra weight and my last test results came back so good, even I was surprised. My blood pressure is an almost constant 118/70. It never really changes or goes up. So when I started to experience a quickening of my heart and a pounding in my head so much so that it startled me, I correctly felt some concern. The first episode was on Wednesday night and the second on Thursday night, both near the same time and both while I was completely at rest. Weird, right? Frankly, this second episode scared me so much I called into the advice nurse (alas, I waited on hold for more than 50 minutes – not useful). Then I decided to ask my neighbor to take me to the ER. My head was pounding so hard I thought I might have a stroke! My Fitbit told me I was in “cardio” mode and since I was simply standing still this was alarming! Additionally, I was very nauseous so wondered if I might be having a heart attack. Since the symptoms escalated I said “we need to call 911.” In 3 minutes I had a plethora of very capable and delightfully attractive paramedics standing in my living room hooking me up to a heart monitor and talking to me. Thankfully, they confirmed it wasn’t a heart attack! They asked about my medications and if I was taking anything new? Aha…! I’ve had chronic back pain for as far back as I can remember. I’ve done a tremendous amount of practitioner centered and self-healing work on this and I’m at the point where I mostly manage the pain. Sometimes it flares up and then it’s bad, but that’s another story. My pain management includes the use of prescription medication and frankly I do not like doing this. So in my quest to find an alternative, I turned to CBD. CBD is Cannabidiol and is a compound found of marijuana. I’m not going to get into the science of it; you can look that up. What I found was that it is supposed to be really good for treating inflammation and pain without the “high.” This sounded great! I had some in capsule form so I went for it. I took one in the evening and slept well and found that my pain was decreased. Yeah!! I took another the next night and didn’t find as much relief. By the time I took the third capsule, it triggered an allergic response only I didn’t know that’s what it was because it happened so long after I’d taken the supplement. Now that I’ve stopped the supplement it’s clear that was the problem. Here’s my awareness from this experience. First of all, I realized an allergic response can come days, weeks or longer after ingesting something. It happened to me a year ago when I took a different prescribed anti-inflammatory and the reaction occurred after 2 weeks. That allergic reaction caused severe muscle weakness and pain, plate hives (itching spots the size of plates) and affected my brain! I guess I just thought that an allergic reaction happens immediately – and maybe it does sometimes – but that may not the norm! The other awareness I got was that as much as I think I’m “immortal” my human body is not. The possibility that I was having a life threatening experience brought me front and center with my own mortality and frankly, it was an interesting experience. While I am not afraid of dying, after all, I talk to dead people and I know what’s on the other side, I awake each day with the notion of living with purpose, love, and compassion and the intention to thrive in my own life. It is my focus. Still, lying in the ER bed with a heart monitor and blood pressure cuff attached was a surreal experience. So folks, beware of allergic reactions that can follow long after ingesting something. Know your body and don’t be afraid to call 911, if nothing else you will be surrounded by people who are completely there for your benefit and care and they might all be hunks! In part one I talked about how people want the magic bullet solution to their problems and I opinioned that you are the magic bullet! Since you are the one who creates your reality, you are the one who can change it! And as you know you cannot change anyone else so stop this fruitless exercise. Why You Need to Acknowledge Your Beliefs. Beliefs are habitual and the more you repeat them the more you believe them, negative or positive. Remembering that you were not born with your beliefs and that you’ve learned them provides you with the empowered perspective you need to change them. You can only change what you acknowledge exists. Acknowledge your beliefs for what they currently are. Changing a belief may be physically uncomfortable as well as emotionally painful (such as quitting an addiction). Unless it is a threat to your existence, fear itself is generally self-created. As humans we tend to fall into the “what if” syndrome. “What will happen if I try this and it doesn’t work?” “What will happen if I don’t do that?” We can “what if” ourselves into being afraid and stuck. Somewhere along the way you learned to be afraid. If you hadn’t learned this belief you wouldn’t even know to do it. Fear is a belief. Getting out of the “what if” syndrome. All of your feelings, emotions, memories, beliefs, experiences, thoughts, (remember it’s all about beliefs) create your reality. I know it can be a challenge to change your beliefs so how about just broadening your perspective? Below is a short version of an exercise I do with my clients to broaden their perspective and change the “what if” thoughts. Describe the problem out loud as if you were explaining it to a friend, including how it makes you feel (frustrated, disappointed, anxious, etc.). Repeat the above questions until you come up with 4 or five different perspectives (possible solutions). They don’t even have to be realistic (in fact sometimes it’s better if they are not). It’s simply to open up your mind to the possibilities so you can stretch beyond your blocks. Now it is time to take a journey. This journey is to a special place within you. It is to your place of strength, courage, wisdom and empowerment, and also your pain. You will come to the edge of this pain and fear and wonder if you can step into it. You may waiver…it is the place you most want to avoid going. Persist. This is the hardest part. Inch a bit closer. Enter the place that scares you most. Your mind may tell you it’s too hard or it may even trick you into believing you’ve already done the work (hint: if the problem still exists, you have work to do). Persist. Talk yourself through it. Slip into the feelings and let them envelope you until your pain, discomfort and fear begin to subside. You can do it! It may feel like you have climbed a mountain! You can now finally look at this challenge for what it was; a belief you once held that is no longer your reality. You have consciously changed the habitual belief and this changes your present and future. You may be working with an old, old pattern and you will likely have to repeat the above process (maybe several times). It can be very hard at times. I get it; I’ve been there. Know this, the excuses or doubts are fear in disguise. You have the courage, power and persistence to get where you want to be. You will face what’s waiting on the other side when you get there and not before. Make this your new belief! When I give readings and a theme appears I believe it’s important to share that insight with many people. 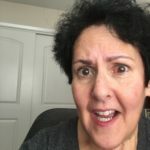 Clients have been asking “why is this happening…again,” or “I’ve worked on this all my life and I’ve done everything, classes, therapy, coaching and I still have this problem. So why is this still happening? I’m sick of it and I’m ready for it to be done!” (Where’s that damn Magic Bullet!)? I understand this sentiment very well. To begin with it’s important you understand why this is repeatedly happening. It’s happening because you signed up for this life lesson! Of course, nobody would consciously agree to come back and work on lack of self-confidence, scarcity thinking, anxiety, depression, guilt, anger, etc., but you did make that agreement between lifetimes. At the end of your human lifetime you return to Source and convene with your council of support beings to co-create anew. You forget the feelings, emotions, burdens and challenges that come with being human. You have to forget those feelings or you’d never agree to come back. So you agree with your council that working on say, boundaries & empowerment (that’s my big life lesson) is a wonderful challenge to work on when you return to your next human life. And so you come back and begin your work. The kicker is you never know how and when you are going to learn your life lesson so it happens over and over in various forms and severity. Additionally, once you get this lesson Source has to make sure you really get it so it will occasionally reappear even after you get it (cuz you know you gotta make sure you got it!). Knowing all this who wouldn’t want a magic bullet? There’s a lot of work to being human! The thing is you really do have a magic bullet. Everyone does. It’s YOU! You are the only one who controls your reality. All kinds of things will happen to you in your lifetime and how you deal with them creates your reality. The “bad” things impact and shape your life far more than the “good” things because they impact you on a deeper and more memorable level. That’s just the way it is for humans. Here’s the thing though, if you didn’t feel and remember these things so deeply you probably wouldn’t work on them. Pain is a far more superior motivator of change than pleasure. Now back to the magic bullet. All of this “stuff” (feelings, emotions, memories, beliefs, experiences, thoughts, uh beliefs, it’s all about beliefs) creates your reality. In order to change your reality you need to change your beliefs. I know you know that so you do all this work and still you wonder why that pesky challenge is still happening. It continues to happen because you come right to the edge of the pain and then back away because it’s too painful to stay there and work through it. That’s the catch and it’s pretty human. Unfortunately, the magic bullet is staying with the pain. There is NO way around this. 12-step programs are very helpful with this process and I use my own proprietary 6-step process to do this work. So it comes back to beliefs. Remember, beliefs are learned, no exceptions. You didn’t come into this world with them. So if you learned them, you can unlearn them and learn something new. Listen, I get that beliefs can be complicated to change (I’m working on the belief that I need gum after I eat lunch or dinner instead of chocolate). There is usually a huge amount of emotion connected to beliefs. The magic bullet is also about working very slowly and incrementally on the pain and it takes conscious work to change the habitual belief (as opposed to energetically “clearing” the belief). It takes commitment, mindfulness, awareness, compassion, patience and persistence. Persistence is key so I’ll address that in part two of The Magic Bullet. In the meantime remember that you and your beliefs are the magic bullet to changing your reality and when you change your reality you can change the outcome to be what you truly want. I Was Afraid My Daughter Was Dead! Whether it is teaching people how to set expectations, boundaries and communicate them, or giving Akashic readings and teaching spiritual trainings, there is always a central theme that appears as we do this work. It’s the feeling of “fear”. 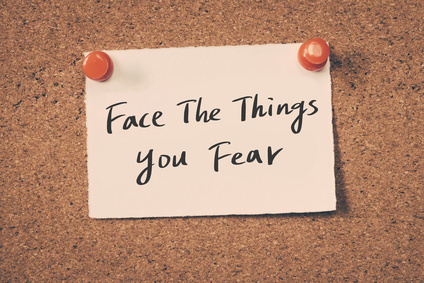 With all the strange changes in the world and in our country it is no wonder fear is a major theme, and if you let it, fear will run and ruin your life. I consider myself truly fortunate because I grew up with a pretty fearless attitude toward life and all it has thrown at me. But this is not generally the case for most people. I know this. It’s not that I’m completely fearless, it means I’ve learned to see fear for what it is and put it in it’s place. As a single parent, my daughter and I were very close as she was growing up. I worked thoughtfully to be a fairly “hands off” mom and allow her to make her own mistakes and learn from them. When my daughter went away to college, I didn’t go through the empty nest stage, mostly because it was the first time in my life that I’d ever lived alone. It was great! However, I missed my daughter and we kept in touch regularly. Then one weekend I kept calling her and couldn’t get hold of her. My fear began to rise. Why wasn’t she answering? What had happened? What if she was laying dead in a ditch somewhere? I couldn’t possibly think about losing her. I’d had so much loss in my life. So after 2 days of this fear frenzy I actually called the police to go check on her. She was home and called me. Boy did I feel stupid. I think she was just out that weekend having a good time and recovering. Still I could not get over this fear of losing her until a few years later when I was in my coaches training program. As the classes were taught at that time, a concept was lectured about and then was demonstrated with a few students from class. This particular module was about how certain feelings can run your life and how to meet them head on. Well guess who volunteered (fearless me)? The work the coach did with me was an amazingly painful yet freeing experience and was a turning point in my life. I’ve never looked at fear the same way since. Here are my 3 tips on dealing with your own fear. Name the feeling and feel it. So in my case it was the fear that something horrible had or could happen to my only child. And because I’d lost my mother when I was 15 and many other family members throughout the years, this was a reasonable place for my mind to go. However, it also created an “out of control” place to be. When I suggest you feel the feeling I mean confront it. What would happen if…? It takes a lot of the negative energy out of fear when you consciously explore the very thing that has a hold on you. Let it go. I know this is easier said than done. There’s a popular acronym for fear: it is F.E.A.R. – False Evidence Appearing Real. When you look at your fear, whatever it is, it almost never comes true, at least not in the way you might have imagined it. Think about that. Think about some of your fears and how little they resembled the actual reality. When you can’t seem to let it go, return to Step 1 and breathe through it again and then remember what F.E.A.R. really is. Trust your higher power. Trust your instincts, intuition, intellect and your faith. Come back to reality and remember, the actual situation is almost never as bad as you imagined it. This all takes practice. Keep at it and trust. I recently spoke at my spiritual church about How to Say “No” Without Guilt (aka Boundary Setting) and boy was it good! It is a timely topic, although, I believe it is the perfect topic all year round. Since I am still writing my book of the same title (I’ve been lagging), it always reinvigorates me to speak about this topic. Right after my talk a woman came up to me and said I had described her to a tee. She had so much resentment built up she was ready to divorce her husband. I asked her “do you really want to divorce him or do you want things to change?” Her response was she wanted things to change. Now listen, when you’ve been married for a long time and the patterns are ingrained it’s gonna take some work to make things different. I am a recovering “people pleaser.” If you are not, you are lucky! I will say that in my experience about 90% of all the women I meet and hear from possess some degree of this characteristic. I personally believe it is inherent in the female genetic code (not to mention centuries of behavioral oppression and socialization). I grew up believing if I just went along with my family or boss or whomever, things would eventually sort themselves out. This is a myth! The more you sweep your frustration, anger, resentment, fear and hurt under the rug, the more it piles up. Then eventually there is a bigger mess to clean up. People pleasers do not want to disappoint others or engage in confrontation. Generally speaking, people pleasers simply haven’t learned the specific language skills to say “no” and set empowered boundaries for themselves. There is good news though. You can learn these new language skills and the more you work on them the smaller the resentment pile becomes. Whether it is a spouse, co-worker, friend, family member, or other, if you have the “people pleasing” characteristic it is important to work on it because otherwise you will always wrestle with your self-worth. I’m going to state up front that you need to be realistic about your expectations. You cannot make these changes overnight. If you try to chew off too big a bite, you may suffer a setback and this is not helpful. So here is a simple strategy to get you started. Start small. Work on your awareness. When do you say “yes” when you really want to say “no”? Look for this specific pattern and once you find it the next step is to change it. You must begin to deliberately and consciously make a change. WARNING: Since you are a people pleaser and don’t want confrontation, switching from your “knee-jerk yes pattern” to an empowered “no” is unlikely right away. You need what I call a “stop-gap” response and I have the language for you start using. Here are my 7 magic words: Hmm, I’d like to think about this. Why are they magic? You’ve been agreeable for a long time. The phrase, hmm, I’d like to think about this gives you time to think about how you feel about what’s being asked of you. When you immediately respond with your knee-jerk “yes,” you are repeating your disempowering pattern. My 7 magic words are very purposeful and specific so DON’T change any of them. Memorize this just as it is. This phrase is non-confrontational. In fact it is a very respectful response and if someone balks at it you can say to them “well don’t you want me to give you a thoughtful and respectful response?” That should stop them, if it doesn’t simply repeat it all again. You may need to repeat yourself several times. This is FINE! I tell my students and clients to practice this phrase ad nauseam. Do it until you and everyone around you is sick of hearing it. You need to do this because your subconscious mind will try to play tricks on you and get you to say “yes” because it is your old pattern. You must change the pattern. Lastly, don’t confuse this phrase with the word “maybe,” it’s not the same. You obviously want to use it where it makes sense. Just do your best and remember, hmm, I’d like to think about this will give you the time you need to be considerate about your responses in the future rather than automatic and this is the first step to freeing yourself from being a people pleaser. Do you ever go into the “what if” place? You know, “what if this happens or doesn’t happen?” What if blah de blah de blah happens? It a place where your mind can spin out of control and push you over the edge. Umm, not helpful! The fastest and easiest method I’ve ever come across to stop your mind from spinning out of control is called Grounding. If you’ve heard of grounding, great! Keep reading because I bet you haven’t heard of this method. What is grounding and when do you need to do it? Grounding is just what it sounds like. Being focused in the present, the here and now and feeling solid like you are connected to the Earth and have your wits about you. There are many reasons and situations to want to feel grounded. If you are someone who suffers from anxiety, grounding is important to you. If you are feeling panicked about something you cannot make sound decisions and choices, grounding is essential. If you are like me and perform work in other realms you need to come back to the present when done, so grounding is necessary to interact in the human world. If you find yourself thinking “what if this” or “what if that” then grounding is critical for you to stop your mind from spinning of control. 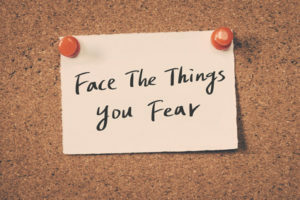 Remember that “what if” generally never happens, it’s just your fear of it happening and that fear can keep you from living a life of value and meaning. 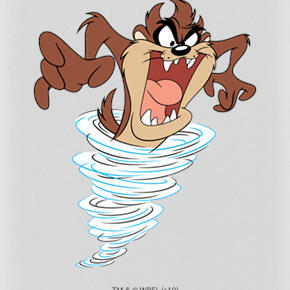 When I first become a life coach back in 2001, one of my favorite books was Taming Your Gremlin by Rick Carson. For such a seemingly small book it was surprisingly challenging to work through. I don’t remember much else from his book since it was so long ago that I worked in it and I may just decide to revisit it again sometime soon. What I do remember is this powerful way to silently, quickly, and non-emotionally bring yourself back down to Earth, focus your energy and stop your mind from spinning. It is so surprisingly easy that you could do this in as little as 10 seconds in any public place and not one person would have any idea that you were doing it. If you could smell something you would bring that in as well. When you observe and bring in your senses you are solely in the present. You are feeling, sensing, hearing, seeing, touching, tasting and even smelling. You simply want to state to yourself what those things are. Doing this brings you into a place of neutrality and focus and stops the spin. I recently gave several readings where everyone I spoke to felt like whatever was going wrong in their life was their fault. Conversely, maybe you know people who think everything that goes wrong is because of something or someone else. You often end up at one of the two ends of the spectrum – self-flagellation or complete lack of responsibility. So why do we do it and how do we stop? After all, it has to be someone’s fault…right? Humans are programmed to want to find reasons why things happen in order to find solutions to problems. You play detective: where did this problem originate? Who started it? This is your default thought process. You think it helps you to make sense of a problem and sometimes it can. But making things “black or white; right or wrong; yes or no” can often be a deep source of frustration, hopelessness, guilt and anxiety and cause undue stress, overwhelm, resentment and a myriad of other negative feelings. It’s also hugely limiting because if it isn’t one thing or the other, what is it? 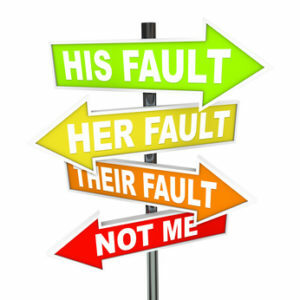 When you place blame, you may feel better initially, but the truth is you give away your own empowerment and ability to make impactful change in your own life when you resort to blame, be it on someone else or yourself. Blame is unresourceful. It doesn’t solve any problem. You can feel self-righteous about it, but it still does not solve the problem. It gives you NO choices. Blame is a spiral. It is a never-ending cycle of negative feelings. Also, sometimes there is NO apparent good reason as to why something happened. Sometimes there is a cosmic occurrence. Whether you believe in astrology or not, the fact is our solar system and the Universes beyond are all driven by powerful energetic forces. So while I will always default to one’s own responsibility to make choices and problem solve, you also have to remember that it’s not just you in this world; sometimes the correct response is to step back and be introspective rather than action driven. It’s another great ability to cultivate in response to things outside our own control. I like “response-ability.” Blame is completely disempowering, plain and simple! Response-ability on the other hand is empowering and choice driven. I think of it this way: “Response-ability.” It is your opportunity to develop new abilities to respond to certain situations. Blame keeps you stuck, resentful, angry and feeling down. Response-ability or choice is uplifting and full of action and momentum. How does it help me to blame ____________________? What do I get out of blaming _____________________? What would I rather have instead? What are my choices and how do I enact them to be more empowered? When I worked as the manager of investor relations at a high tech software company, one day the controller strolled into my office and during our conversation he began to discuss how the CEO and CFO were cooking the books. I stopped him and said I didn’t want to know any more because I wouldn’t lie if I were ever subpoenaed. He left and needless to say that company no longer exists. I knew in that moment I needed to find another job and shortly thereafter my dream job fell into my lap. I set a clear boundary with the controller. He’d stepped over my ethical line and I knew this was just the beginning of bad things to come unless I took clear and confident action to change it. A boundary is a line you set that states: “this is my limit. Step on it or over it at your own peril.” That can sound ominous though. Boundaries need to be communicated clearly and without negative emotions such as anger, fear or resentment. They don’t have to be aggressive or confrontational and in fact it’s much easier to set them if you keep that in mind. A boundary not only keeps you from harm, it helps you to grow and evolve. If, for example, you want to keep your workday to fewer than 14 hours then you may have to set a boundary. But how do you do that with your boss and still feel like your job is safe? It says you understand and acknowledge the current staffing situation. It conveys your clear boundary with professionalism, confidence and no emotion. It declares that you are offering to help solve the bigger problem (and nobody can argue with that). Both parties come away feeling heard, acknowledged and understanding the clear boundary. 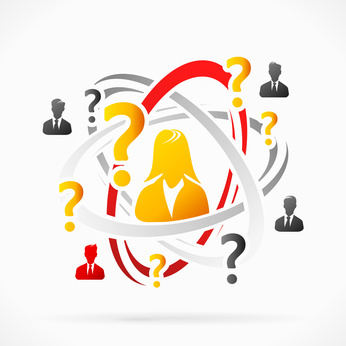 If you have a boss who isn’t a skilled leader, they might balk at this. Keep firm and keep your emotion out of it. A manipulative manager will “smell the fear” and instinctively try to get an emotional rise from you. Keep calm and acknowledge their response then reiterate your boundary (above) again. Use the same language. 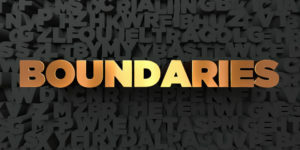 Most people have to hear your boundary 3 times before they actually hear and acknowledge it. While a boundary is a limit it can often set you free to grow, be productive and happy. Effective and non-emotional boundary setting can take a lot of practice. Keep at it! Julie Hawkins is a women’s empowerment coach, psychic medium and author of the forthcoming book How to Say “No” Without Guilt: 5 Simple Steps to Eliminate Overwhelm, Reclaim Your Life and Have What You Want. For more information find her at www.juliehawkins.com. End of Year Holding Pattern? Are You Afraid of Choice? Are you experiencing resentment, guilt, overwhelm or other negative feelings? 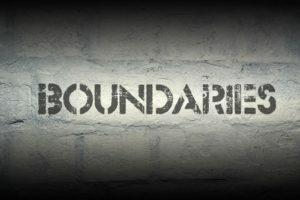 Take Julie Hawkins’ FREE Boundary Assessment and find out if these feelings are actually a result of weak boundaries. She has a lot more for you, so subscribe to her newsletter today.